Multivitamin - hair, skin nails formula is best supplement to take for people skin, hair and nails. Apart from being a great multivitamin supplement, it also contains Aloe vera and grape seed extract to help improve the condition of people skin, hair and nails by boosting their total nutritional status. Nutrition impacts on people appearance, since diet affects their skin, nails and hair, as well as their energy levels. Naturopathic philosophy maintains that your skin reflects the condition of your liver - too many toxins lead to a dull, spotty sallow skin, as well as low energy levels. 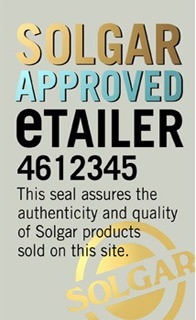 Solgar supplies several different multivitamin supplement products such as Solgar Hair Skin Nails Formula 60 Tablets.